On 14th June 1985, a Trans-World Airlines flight, with eight crew members and 145 passengers, was hijacked en route to Rome from Athens. It was seized shortly after takeoff by two terrorists who had smuggled pistols and grenades through Athens airport. The plane was diverted from airspace over Greece to the Middle East and made its first stop, for several hours, at Beirut, Lebanon airport, where 19 passengers were allowed to leave in exchange for fuel. During this time, Lebanon was in the midst of a civil war, and Beirut was divided into sectors controlled by different militias. The aircraft continued on to Algiers, Algeria where 20 passengers were released during a five-hour stop, before heading back to Beirut. The Beirut International Airport had no perimeter security and militia memebers could simply drive onto the runway. During this stop, the hijackers identified an American Navy diver, Robert Stethem, among the passengers. They beat him, shot him in the right temple, and dumped his body out of the plane onto the tarmac. Seven American passengers were taken off the jet and held by militia men in Beirut. Nearly a dozen armed militia men joined the hijackers before the plane returned to Algiers where an additional 65 passengers were released. It returned to Beirut for a third time and remained there. By the afternoon of June 17th, most of the hostages had been taken from the plane to a secure location. One of the hostages was released when he developed heart trouble. The other 39 remained captive until June 30th, when they were driven to Syria. The hostages then boarded a U.S. Air Force plane and flew to West Germany. Over the next several weeks, Israel released over 700 prisoners, while maintaining that the prisoners’ release was not related to the hijacking. 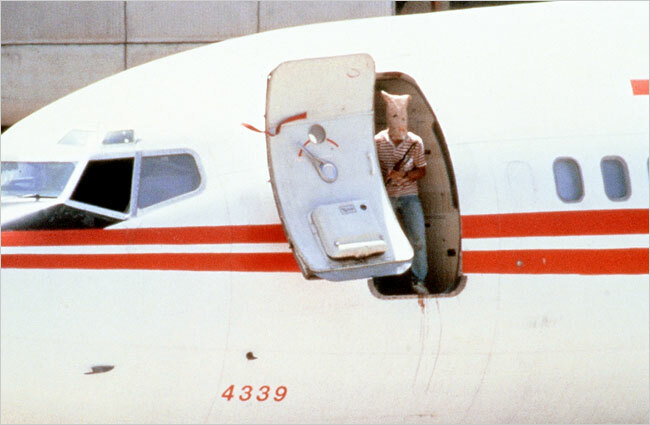 Iconic images of this hijacking were pictures showing a hijacker with a gun and the pilot, looking out of the cockpit window as the pilot was being questioned by reporters. Flight attendant Uli Derickson was widely credited with calming the hijackers and saving the lives of many passengers. Because her German was the only common language with the hijackers, who spoke poor English, she acted as translator and liaison for most of the ordeal. Notably, she defused a tense situation in Algiers when airport officials refused to refuel the plane without payment by offering her own Shell Oil credit card, which was used to charge about $5,500 (USD) for 6,000 gallons of jet fuel, for which she later was reimbursed. On 14th June 1985, a Trans-World Airlines flight, with eight crew members and 145 passengers, was hijacked en route to Rome from Athens. It was seized shortly after takeoff by two terrorists who had smuggled pistols and grenades through Athens airport. The plane was diverted from airspace over Greece to the Middle East and made its first stop, for several hours, at Beirut, Lebanon airport, where 19 passengers were allowed to leave in exchange for fuel. During this time, Lebanon was in the midst of a civil war, and Beirut was divided into sectors controlled by different militias. The aircraft continued on to Algiers, Algeria where 20 passengers were released during a five-hour stop, before heading back to Beirut. Iconic images of this hijacking were pictures showing a hijacker with a gun and the pilot, looking out of the cockpit window as the pilot was being questioned by reporters. Flight attendant Uli Derickson was widely credited with calming the hijackers and saving the lives of many passengers. Because her German was the only common language with the hijackers, who spoke poor English, she acted as translator and liaison for most of the ordeal. Notably, she defused a tense situation in Algiers when airport officials refused to refuel the plane without payment by offering her own Shell Oil credit card, which was used to charge about $5,500 (USD) for 6,000 gallons of jet fuel, for which she later was reimbursed.